We have a unique and proven approach to helping our Members create and preserve “a rich life.” Of course, “being wealthy” is a relative term. We all have our personal definition of what this means to us. We say that to become truly rich, you should build not only financial capital, but intellectual and social capital as well. The Oxford Club is a private, international network of trustworthy and knowledgeable investors and entrepreneurs. Our mission is simple – to help our Members grow and protect their wealth. The Club’s investment philosophy and ability to share new ideas have passed the test of time. For well over two decades, we’ve been successful… and through all market conditions. While we’re selective, we are not a secret organization. In fact, we have more than 157,000 Members worldwide in over 130 countries. 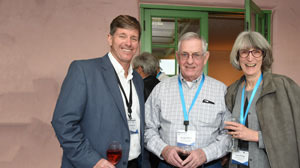 William Bonner, the founder of Agora Inc., is also one of the founders of The Oxford Club, which officially started as the Passport Club in 1989. The Club took its current name in 1991 to reflect our combination of old-world sensibility and modern technology. The founders’ idea was to create a private “financial club” of investors who shared an interest in identifying unique opportunities around the world and who agreed that the best opportunities to invest are usually found through personal connections, not the mainstream press. Every month, we research hundreds of investment opportunities, looking for those with the greatest potential gains and the lowest risk. We then share these with our Members. 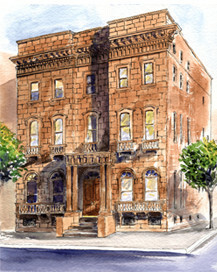 The Oxford Club’s beginnings date back to a group called “The Merchants & Brokers Exchange.” This was an international businessman’s club founded in the early 1970s by Gary Scott, an American who sold insurance and mutual funds in Hong Kong. It was the time of the Cultural Revolution in China, and Western business people living in Hong Kong enjoyed getting together to exchange information about what was going on. Scott institutionalized this group and later expanded it to London. In the mid-1980s, Scott turned the group over to Bill Bonner, the CEO of Agora, Inc., a global financial and travel publishing company based in Baltimore, Maryland. In 1989, Bonner changed the name to The Passport Club and hired recent Thunderbird MBA graduate Julia Guth as Membership Director. Her job was to expand the Club’s services and local chapter participation. Around the same time, an investment and business publisher in Florida launched a financial newsletter called The Oxford Club, which grew to 10,000 readers worldwide. In 1991, the publishing company sold its interest to Bonner, who welcomed these new Members into his own club and changed the name from The Passport Club to The Oxford Club. Bonner found the new name evoked a spirit of tradition and Old World charm. He charged Julia with combining the best attributes of The Oxford Club and The Passport Club and expanding on them. Mark Nestmann, an international wealth-protection and privacy expert, became Financial Editor of the monthly Oxford Club investment newsletter, The Oxford Communiqué. In these early days of the Club, all communications were delivered by mail only.